Download the latest or previous versions of the Realtek RTL8153 Gigabit Ethernet 10/100/1000M USB 3.0 Drivers for Windows XP, Vista, 7, 8, 8.1 and 10. With state-of-the-art DSP technology and mixed-mode signal technology, the RTL8153 offers high-speed transmission over CAT 5 UTP cable or CAT 3 UTP (10Mbps only) cable. Functions such as Crossover Detection and Auto-Correction, polarity correction, adaptive equalization, cross-talk cancellation, echo cancellation, timing recovery, and error correction are implemented to provide robust transmission and reception capabilities. The RTL8153 features embedded One-Time-Programmable (OTP) memory that can replace the external EEPROM (93C46/93C56/93C66/TWSI). The RTL8153 features USB 3.0 to provide higher bandwidth and improved protocols for data exchange between the host and the device. USB 3.0 also offers more advanced power management features for energy saving. Advanced Configuration Power management Interface (ACPI)—power management for modern operating systems that are capable of Operating System-directed Power Management (OSPM)—is supported to achieve the most efficient power management possible. In addition to the ACPI feature, remote wake-up (including AMD Magic Packet and Microsoft Wake-Up Frame) is supported in both ACPI and APM (Advanced Power Management) environments. The RTL8153 supports Microsoft Wake Packet Detection (WPD) to provide Wake-Up Frame information to the OS, e.g., PatternID, OriginalPacketSize, SavedPacketSize, SavedPacketOffset, etc. WPD helps prevent unwanted/unauthorized wake-up of a sleeping computer. The RTL8153 supports ‘RealWoW!’ technology to enable remote wake-up of a sleeping PC through the Internet. This feature allows PCs to reduce power consumption by remaining in low power sleeping state until needed. Note: The ‘RealWoW!’ service requires registration on first time use. The RTL8153 supports Protocol offload. It offloads some of the most common protocols to NIC hardware in order to prevent spurious wake-up and further reduce power consumption. The RTL8153 can offload ARP (IPv4) and NS (IPv6) protocols while in the D3 power saving state. 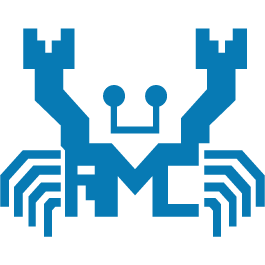 The RTL8153 supports the ECMA (European Computer Manufacturers Association) proxy for sleeping hosts standard. The standard specifies maintenance of network connectivity and presence via proxies in order to extend the sleep duration of higher-powered hosts. It handles some network tasks on behalf of the host, allowing the host to remain in sleep mode for longer periods. Required and optional behavior of an operating proxy includes generating reply packets, ignoring packets, and waking the host. The RTL8153 supports IEEE 802.3az-2010, also known as Energy Efficient Ethernet (EEE). IEEE 802.3az-2010 operates with the IEEE 802.3 Media Access Control (MAC) Sublayer to support operation in Low Power Idle mode. When the Ethernet network is in low link utilization, EEE allows systems on both sides of the link to save power. The RTL8153 is fully compliant with Microsoft NDIS5, NDIS6 (IPv4, IPv6, TCP, UDP) Checksum features, and supports IEEE 802 IP Layer 2 priority encoding and IEEE 802.1Q Virtual bridged Local Area Network (VLAN). The above features contribute to lowering CPU utilization, especially benefiting performance when in operation on a network server. The RTL8153 is suitable for multiple market segments and emerging applications, such as desktop, mobile, workstation, server, communications platforms, docking station, and embedded applications.